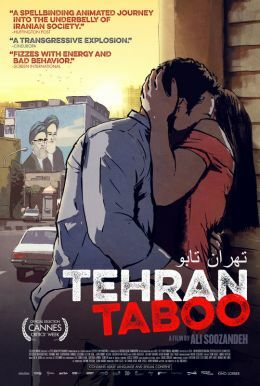 In the bustling metropolis of Tehran, avoiding prohibitions has become an everyday sport and breaking taboos can be a means of personal emancipation. Nevertheless, women invariably end up on the bottom rung of the social order. A young woman needs an operation to “restore” her virginity. A judge in the Islamic Revolutionary Court exhorts favors from a prostitute in exchange for a favorable ruling. The wife of an imprisoned drug addict is denied the divorce she needs in order to live independently. Making use of rotoscope animation, expat Iranian filmmaker Ali Soozandeh creates a portrait of contemporary Tehran that would be impossible by any other means.